I already posted a while back but I wanted to add this to my WOW Share! blog series. I honestly was speechless when I heard this advice... This advice would help every photographer out there whom is shooting a portrait of a person. This is a MUST SEE by every photographer and this is why I wanted to share it to my readers/viewers on my blog. Don't credit me, credit Adorama, AdoramaTV.com and Mark Wallace. The importance of a model’s physical attraction all depends on the market you are in, the size of that market, and how much competition you have within that market. As well it would depend on your own goals or/and types of modeling for your modeling career, such as if you want to be a runway model which requires specific height and weight at all times when doing runway. As I have mentioned in the “Portfolio Building” article that talks more about types of modeling. When I say “in the freelance model world” this is when compared to the prime time model world which is agency modeling world which the following doesn’t applies this only applies to freelance models (any level models). Here it is in the simplest terms if you understand numbers based on priority… After the following numbers I’ll go over them each of them to fully explain thoroughly. 5% - Ability and positive attitude to learn from peers in the industry, and being open minded to trying new things. In this article I’m going to first talk about Work Ethics. Disclaimer: I'm not a professional; these are my opinions and my opinions only and based on my own experiences in model photography. Ensure you’ve followed my Portfolio Building tips article [HERE] and Market Yourselves! article [HERE] before attempting the following tips in this article. Once you have decided on a specific type of modeling you love and want to dedicate, commit and stick to, your fanbase will pretty much create itself if you follow the following basic rules. This was the longest post production to date but it was well worth it. I had many different looks with the gorgeous Ashley Lynn from Model Mayhem. Keep in mind that I’m in my portfolio building stages right now and have been since I started back in late May 2011. But I have learned a few things about building a portfolio based on simple common sense logic and some experience as a model photographer. Photographer to Models Tip 4: Home Studio or "Real" Studio? I've been seeing many of the newer models and even some "experienced" models avoiding to go to home studios than a full blown studio. Now here's a reality check tip, most photographers will only have a home studio because the cost for a "real" studio is unnecessary or impossible to get as a new photographer or even experienced photographer. As for photographers having a full blown studio than not having a home studio are photographers who have a full time running business that actually profits or brings in some kind of revenue, so these photographers do not work TF or is by far extremely rare to find to be doing TF work. I know this tip message may come out as hostile but its been very annoying to see models have this thing of not going to home studios for a TF Shoot and when in reality if we had a full blown studio we won't be working TF. Model Photographer Tip 01: Why it’s a good idea to have Pre-Production in Freelance Model Photography? In my experience when I started out doing model photography I didn’t have pre-production at all, but as I did experience my first few photoshoots with strangers that’s when I had an experience with one model being “too shy.” A new model being shy is totally understandable, but it will cause the results of the photoshoot to dramatically come out low quality instead of high quality, and how I figured out on how to resolve this issue to never or make it less likely to happen again is to have a pre-production meeting with first calibration. Click Here to View More of Ashley Lynn! Logo or Not to Logo? That is a very difficult question to answer for many photographers, especially myself. Many of the higher level photographers, especially model photographers prefer to not have any logo/watermarks because it tends to distract and take away from the actual image and I agree..... But those same photographers that say that, they generally think anyone can know who is the photographer that helped create the photo without any form of watermarks or logos, and no I’m not talking about metatags. They’re generally talking about the form of photographic style helps tell the view who is the photographer, and I agree, but who has those skills? Generally speaking, photographers and other people who work within the photography industry or observe a lot of photography, as for the general public who may also be potential consumers… typically no, the general public viewing a photo will not know who is the photographer without actual words on the photo saying or showing a logo with the photographers name or production company that the photo was created from. Click Here to Vew More! This is a share blog series of what I see on the net that could be very valuable in any form of way to you my readers, fans, models, model photographers, etc..! I call it "WOW Share!" I'll also keep this post as the index to my other WOW Share! articles posted on the blog. WOW Share! 03: "20 Myths About Becoming a Pro Photographer (And their solutions!)" WOW Share! 05: Get into MANUAL! ﻿Like this WOW Share! article?! Check out the index for more WOW Share! articles [HERE]. See More of Ashley Lynn HERE! I ask a lot from TF models because I don't want my time wasted by not so serious models. My time has a great value with me and dealing with not so serious, immature, unprofessional models is the #1 thing I want to avoid in my career of model photography. And how do I avoid them you may ask? By having models to go through a certain process in place that ONLY mature, serious, and professional models would attempt, period! This may or may not sound like a rant, but I seriously want to only have a maximum level of efficiency for my life and my company. And dealing with not so serious, immature, and unprofessional models is not allowed under any circumstances in my standards of expected productivity. From what I’ve experienced since I’ve started photography and model photography it’s been extremely difficult to network with fellow photographers, especially with fellow production crew members for model photography. Yes we have model mayhem, flickr, facebook, etc. websites designed to social network with these people, but having people who are actually serious about networking in person and maybe even working together is near to impossible. Jason Gears of Shakesgrear Photography and from our Models & Photographers NEPA Community on flickr group gave me the honor in critiquing this photo he's created and given me the permission as well to post on the blog. Okay let's get started with the critique! Hey guys I just wanted to inform you of something that every photographer should do and look for.... Critiques! This is a new blog series I'm starting up because it helps me look for common mistakes that I should already know to never do and not just mistakes just overall feel of observing other model photographers' work. If you want your work criticized in a public form please go email me at Chris@ChrisAdval.com subject line: "Photo Critique." Photographer to Models Tip 3: Professionalism: Straight Talk! Disclaimer! These are my opinion and my opinion only based on my life experiences both in personal life and in model photography. And the following is from a photographer’s point of view. I somewhat mentioned this in the last article of this series slightly, but in this one I’d like to go much more in-depth on this subject. Note there is one image missing from the set which will be uploaded to the set sometime tomorrow. Check back on the flickr set link below to view it. Click Here to view the full set! The level of professionalism is simple, treat me the photographer as you'd like to be treated. The following is a list that is rarely followed but is expected by models I've worked with in the past and will work with in the future. Read all the materials that the photographer's assigned to you which all parties are needed to be on the "same page" as the photographer. First you need to get as much exposure as possible while being a model and/or model photographer. A another form of exposure is networking, so network, network, NETWORK! Especially with real life networks than online networks. I'm currently working on specific portfolios. Primarily I'm working on a Catalog Model Portfolio and Advertising Model Portfolio for my commercial photography side. And working on a Candid On-Location Photography Portfolio for my personal photography services portfolio. Instead of making individual posts on every jargon term from portrait/model photography I'll just make one bigger post. And when I say Portrait/Model Photography I don't mean the equipment, and I'll list jargon terms that is generally not self-explanatory. Generally digital copies ether on a CD or via web access/email etc. Candid: Shooting (generally human) living subjects without posing or subject knowingly being shot. In many or some cases a candid photo can be posed with proper planning. Generally Candid can be found in photojournalism mostly. Tear Sheet: Officially been published into a printed publication, i.e. magazines. GWC: Guy with Camera. Generally a person without a DSLR or at times with a DSLR with limited or lack photography skills. More will be added as time goes on...Check back for the updates on this post. First let me explain what TF is for the new models, TF is "TRADE FOR...." Time/Print/CD (one of those options). Generally I only do TFT and TFCD. TFCD will generally be delivered by direct download (from my server), if you do not have reliable internet I can mail or give you a CD in person. TF Projects - DISCLAIMER! : My method of running my businesses is to reach the maximum level of efficiency and productivity. If you and anyone involved in working with me on production photoshoots, causes inefficiencies and low productivity we won’t work well together in any circumstances professionally. If you don’t value my work in any way DO NOT CONTACT ME, if you value my work you follow the entire processes needed to work a smooth production photoshoot. If I contact you and you’re reading this before you’ve responded to my message please take a strong look at my portfolio on my Model Mayhem portfolio AND my flickr photos at http://www.flickr.chrisadval.com/ to view ALL of my publically released photos. If you think you’re not serious please DO NOT CONTACT ME, if you think you’re serious about working together you will follow my all processes I ask. If you cannot follow my processes you can choose one of the two options, 1) Hire me as a photographer or 2) Move onto another photographer. I am very flexible and negotiable if you tell me what is bothering you, I DO NOT read minds or speak “hint,” I speak straight forward ENGLISH. 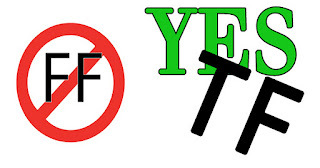 The following terms to our agreement/exchange MAY be negotiable until the end of our pre-production meeting, you traveling to my studio means you've already agreed to the terms. Here's a guideline I expect any and all levels of models interested in working with me as a TF model. TF Status of Mine: Limited to Only Casting Calls and terms currently for most models you'd receive social media/web resolution photographic JPG file with a watermark for your digital online portfolio. Non-Agency Models Read TF Model Agreement [HERE], Agency Models have your agents call me with terms agreement. Print these documents and bring them with you for our pre-production meeting (if possible). If not possible please have them opened in the program during pre-production. Completed all of the above steps? You then may contact me for we then can exchange phone numbers to setup a time/date for a pre-production meeting (for first time collaboration) in person, or in skype in a virtual meeting using a webcam. Please read over the concepts and if printed circle the ones you want to do, and if can't print on Word "Highlight". After our virtual meeting, please read this important article I wrote about prepping for a shoot with me [HERE] after or before this meeting takes place. Already have my number? Go to the next step below. Once you have contacted me with one of the above methods I will pass along my cell phone number and we'll then setup a pre-production meeting/meetup. Option 1: Trade work with me and you is not going to work...we must be on the same page in order to make this work and following the above steps is the only way I will accept it if not you are not a serious model. But again, I am negotiable to a certain extent. Option 2: HIRE ME AS YOUR PHOTOGRAPHER TODAY! In my opinion do not ever do TFPs as a model* (Trade for Prints). (*Unless its a print you want to frame and keep for yourself.) Why you may ask because those who will be looking at your portfolio prints/books will expect printing constancy in quality, colors, sizes, everything, that will dramatically increase the quality of your prints/books because it will look more professional and will make you look like you're serious about modeling. Here's my tip when you're doing TF photoshoots do TFCDs and ensure you get print (high) quality images. To check if the photos are the proper quality levels you must have (or something similar to) Adobe Photoshop, open the file(s) and go to image>image size and look for resolution, you should see 300, that means its print/high quality. Do not print right away, print when you're ready to afford a full professionally printed portfolio book. Also print when you're sure who you want to show it to, i.e. catalog model agencies, film directors, etc. certain photo books should be made to the market audiences you're targeting but you can make a book that has a mass appeal if you'd like as well if you're targeting an agency that has a lot of diversity in type of modeling. Another tip I'd like to add, never, ever, print low res. or web quality res for a portfolio! Under any circumstances! If you need to show it off to someone bring a laptop as last resort than printing a low res. photo. Don't forget to check out the other related articles from this Photographer to Models Tips series. Click [HERE] for the index. My Question Featured... AGAIN! on PhotographerandModel.com! My question was about making money in Model Photography. Testimonial From MM#: 1963275 TreyC Caps: "I was comfortable through the entire experience with Chris Adval Productions. Each outfit change and concept moved quickly and the photographer allowed me to try my own ideas as well as his own. We did both outside and studio sessions and both ran smoothly. The pre/post production products came out great and I have many that I am able to use for my portfolio. I would work with this photographer again." Check out Ashley Lynn's Rope Photos Here! Question Featured on PhotographerandModel.com Podcast! My question was that does models, or specifically the co-host Shawna (model) judges photographers on their physical appearance for TF work. They answer in the above link within the audio podcast and she answered very honestly which I loved! A MUST LISTEN for photographers who think or know their physical appearance is effecting getting TF work with models. Check out Ashley Lynn's Entire Photos from our High Key Shoot Here! Check out the original post at - Question 1: How do you get models for you when you're an inexperienced Photographer? First I've decided to look into talking to college I'm already attending and possibly contacting the drama club advisor and/or instructors. I got into contact with the drama club advisor which was as well the acting classes instructor, so he introduced me to his classmates very well and I got a one response (poor, but it's better than no response as I used to get at that time). 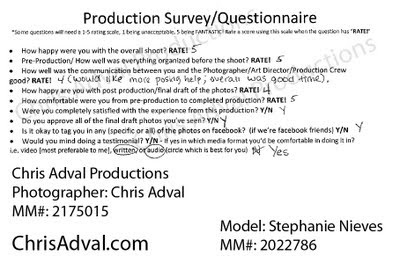 This response was the aspiring actor Tim, which dramatically helped me get some nice starter portfolio photos added to my model photography portfolio and has increased my response levels on Model Mayhem because I didn't have any good quality portfolio photos to show on MM. So, if you were in my situation check the college you're attending and get into contact with drama/acting class instructors and/or drama club advisors or/and club presidents. It has worked out very well for me and I'm sure it should work out for you. But if that doesn't work for you or nothing at all I highly recommend buying a wireless shutter trigger because after I did Tim's Headshots and did myself a self-portrait with the same quality level I honestly couldn't tell the difference if it was shot on a tripod or not. 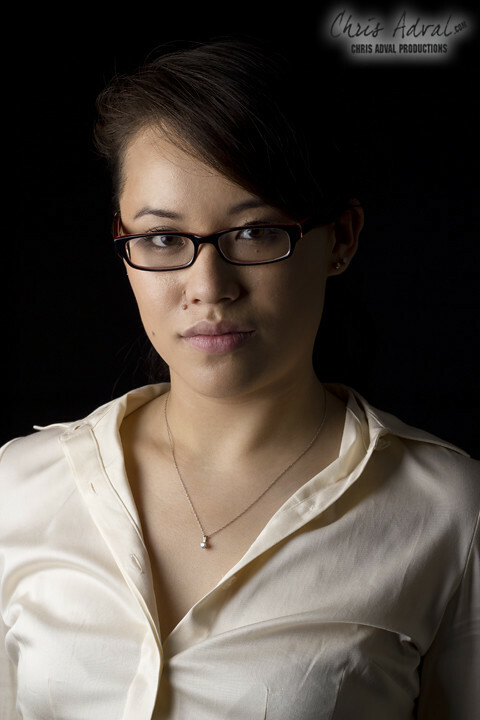 Last resorts to get a portfolio started is getting some good quality self-portraits shot. After being on Model Mayhem since late May I've met maybe about 10-15 models, but only shot about 4. So, don't hate yourself just expect that many (especially female) new models are going to not be serious into modeling as you're into model photography. Being on MM for about 2 months, I've exhausted my TF models pool, which is pretty big pool such as 50mile radius from my home location (Hazleton, PA), so living in a very big city will help you dramatically to having a much bigger pool of models. I've had about MM 15% response (via MM messages) and over 5% I've shot from the amount of models I've messaged. It's not much but I require all models to communicate via cell phone/text and many don't want to communicate within that method, as well many other reasons such as not so serious models, immature/unprofessional models, or models who think I'm too serious into photography or too organized. This is not a rant I understand some people can't work together for whatever reasons, we all move on, of course many models (most) won't tell you in plain English and loud and clear that they lost or not interested. It is very rare to see a model on MM being professional, mature and has good communication skills, so when you see it respect it I know I respect those models that are professional, mature and has good communication skills. So those who've read this update I hope you guys have learned something from my experiences but now I officially have experienced with many models from MM and currently I have 4-5 shoots this week alone, this month maybe 6-8 shoots in total, and more coming because I have 10 different pre-production meetings with models this week (in 1day of course). But I'm loving it, just of course the bad will always be there and it will always sting keep that in mind. Another thing is expect cancelations or re-scheduling, which are understandable, just those photographers reading this expect it and plan backup models to call on for you won't lose a planned day of shooting. PITCH! - When messaging models have a set and well developed "pitch" message with creative concepts with specific details on everything you have in mind, especially with wardrobe if possible. The more details you have (relevant information) the better for serious (professional/mature) models. This should increase your response from the models. But this would also depend on your portfolio so ensure you have properly selected the photos displayed in your portfolio.